… continuing the discussion on heat. In California, January 2009 was the driest month in modern history further proving the case that global warming is happening now(*). January is generally the wettest month of the year where water reservoirs are recharged. Consequently, the water reserves that the state normally relies on were not built up. This means that California faces severe water restrictions in the coming year and that farming will be impaired. A state of agricultural emergency has already been declared in Nevada. (*) It is interesting to note that wholly 2/3 of American’s still believe that scientists generally disagree on the issue of global warming. In fact agreement and consensus amongst scientists now exceeds 99%. This shows that the subject is overwhelmingly dominated by political/ideological rhetoric rather than science. Scientifically the case is closed. Global warming is happening. One third of the fruit of the US is grown in the central valley. Here we are looking at a projected job loss of 40,000 workers and the loss of one billion dollars in revenue. The problem is that fruit trees can not be fallowed. Growing fruit rather than what is more naturally grown in the area is a do or die decision that was made long ago. Big mistake. It is doubtful that the rest of the US food system can compensate for the disturbance of a factor one third in production capacity. Fruit and vegetable prices are therefore likely to become volatile over the summer just like oil prices became volatile when supply had problems meeting demand(*). (*) Classical “static” economics predict that prices should simply go up, but in reality the economy is a complex dynamical system with feedback loops. It is better to consider such systems to be systems where tension exists. The more tension that is put into the system the more explosive it gets when reacting to sudden changes of external circumstances. Consider for instance the current state of the stock market. The extreme leverage (tension) means that stock market swings are easily 3-4%/day and sometimes 10% or more whereas in 2007, a 2% swing was if not rare then not seen very often. 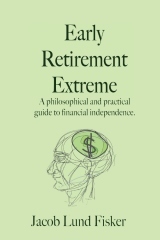 Naturally if you are retired early or otherwise depend on a fixed income, volatility is not what you want whether it is economical, food, or climate. Rather than be reactive, it is best to be proactive like I talked about the recession in spring 2008 (and look what happened). Food wise, you should prepare by stocking up (before everybody else does). I would get several large 10lbs bags of beans (if you are in the east bay area, I know a good place) and store them in a plastic container and slowly rotate through them. Adding a supply of canned tomatoes and you have the sloppy joe meal. Given the overall rate of food inflation, storing food may even be a good “investment”. Expect food to comprise a higher percentage of your budget in the future(*). In light of the agricultural problems trying to make your own garden is likely to be futile especially since watering days are likely to be cut. Hydroponics might be worth looking into as would sprouting. (*) Interestingly this should mean that more people would be working to produce food, which means fewer people will be working producing something else. Draw your own economic conclusions. If you have a yard, consider recasting it into something that is more fitting to the climate you are going to be living in, a semi-arid desert. Make a rock garden. If you have a pool. Get rid of it or cover it. Either water prices will go up or water will be rationed or a combination of both. Take shorter showers to keep within budget. Read Dune to get in the right mood. And if you live in CA and own a company, please do consider putting an end to the inane idea of pouring hundreds of gallons of water on the sidewalk every night to water a small strip of lawn around your corporate building. It is evil. 48 users responded in " Food and water supply "
“Scientifically the case is closed. Global warming is happening.” . . . True, the contention is on the word Anthropogenic. If you ask the question “Has the earth warmed since the year 1900?” The answer is Yes . . . Well, unless you have actually looked at the surface stations project. If you ask “Is the Earth warmer now than anytime in it’s history” the answer is No. If you ask “Are humans the primary cause of warming since 1900” The answer should be It’s uncertain. Alarmists say Yes. Skeptics say we need more study to determine, but signs point to No. If you ask “Are humans contributing to the warming since 1900?” The answer is, probably. Alarmists say it’s certain, and Skeptics again say show the proof without assumptions. If you believe that and also that there will be more CO2 and the earth will warm, aren’t you contradicting yourself? Warmer weather in general for all of North America will mean better crops and longer growing seasons. Higher CO2 will mean better crop yields and hardier plants, which is why you can buy CO2 generators for green houses. You can’t have it both ways . . . sure climate changes. Some places will be different for the worse and some for the better. Throughout history warm periods are good times, and cold periods are bad times, pick which you want to aim for. Can you share your source(s) for these numbers? I’m not trying to nit-pick, I just want to read them. I’m in the 2/3rds group myself. I think the point of the blog was to talk about food prices/supply in relation to the lack of rain in CA last month. I guess you missed that part. Too bad. And even if global warming is a complete lie – what’s the harm in cleaning up our world a little? I think you will agree that our resources are limited and there is change that needs to be made sooner than later. Jacob – I’m surprised you didn’t talk about rain barrels. For those of us with small gardens or lawns they are a great way to water, without putting additional strain on utilities. That fact rings hollow, to me, on many levels. “Science” is not always right (don’t ask for examples. I think we can all turn the pages back and find where what was “clear” ended up being clearly wrong). As a matter of fact check the forecast for next month and see how correct it is (that was tongue in cheek. I don’t really think they’re equatable). There is still debate as to why the earth is warming. As far as I can tell this is where most of the Americans you site have an issue. Personally, I don’t have a solid opinion. I know enough to know that I don’t know enough, and that it’s not a simple problem. As above pointed out – this doesn’t necessarily mean impending doom. It may simply mean different. The Southeast had severe drought the past two years. There were many restrictions put on water consumption, but food prices didn’t fluctuate significantly. The water levels are now back to near normal. I suppose the Fremen do live an ERE lifestyle. I think if someone is skeptical of science and dismisses global warming on the basis of it being a theory, that’s fine, everyone is welcome to an opinion. But then to be self-consistent you need to boycott anything else derived from scientific theories: antibiotics and pasteurization (the germ theory), internal combustion engines (the gas law), airplanes and sailboats (Bernoulli’s principle), computers and electronics (electricity), selective breeding (Mendel’s Laws), and pretty much every other useful product invented from the 18th century on. How do you stockpile in an RV? I stockpile what I can in my tiny 800 sq. ft. apt. but we realized just a few weeks ago that we only had enough food for about 4 weeks extra-obviously not enough time for us to grow something to eat if things get bad. When the rice shortage happened in California I bought a bunch extra, and have been rotating through it, but it goes fast. Do you have a rule of thumb or additional information or sites you use on the stockpiling theory? When I traveled through New Mexico last year, I was surprised and appalled by the number of places that seemed to landscape as if they lived in some lush valley where water was never an issue. Even more, I would mention this to people and no one was alarmed by it. “Oh, NMT has its own private water supply, it doesn’t matter” someone told me (when I mentioned that New Mexico Tech was one of the worst offenders). Yes… but doesn’t it all come from the same place? I actually think it’s a pretty scary situation when much of our population decides on their opinion, and then doesn’t let the actual facts get in the way of their opinions. Just because you don’t believe what the experts are telling you, doesn’t make it so. It’s not just science either, as evidenced by the Republican members of congress now consulting with Joe the Plumber for advice on the economic stimulus plan. Perhaps they would better to seek the counsel of actual economists–but I imagine their opinion wouldn’t be consistent with what they want to hear, i.e. what Joe the Plumber will say. We can all point fingers and scream, “bias.” What I am trying to get across is that it really doesn’t matter. More to the point of the post I think Jacob is right in his notion of not being excessive/wasteful. That may not be his direct intent, but it’s surely a byproduct. It’s my opinion that, regardless of the veracity of global warming claims, we should all act in a manner that is eco-friendly. Don’t reduce your driving just because of global warming. Reduce your driving because it’s the right thing to do. Jacob, I think that you are in a better position than most. If food and water becomes scarce where you are at just drive off. I keep trying to convince my family that we need an RV. But 2 teenagers, a dog, a cat and husband in an RV might not work for us. But I can still dream. Stockpiling food in an RV? Living in a 5th wheel we use the backseat of a 4 door truck. We could actually stock pile more than we do. For the most part we live on fresh vegetables and very little processed food. It turns out you can put an awfully lot of bags of corn chips (with far out expired dates) there as need. @Traciatim – There is no contention between professionals on the anthropogenic part either, at least not for the past 15 years. If you look into the matter you will see that the model predictions from the early 90s match the reality we are currently observing much better than models that leave human sources out. Be aware that the US surface stations only form a minor part of the entire temperature record and that a lot of people have worked very hard to make these measurements as precise as possible. It is quite irrelevant whether the Earth is warmer now. The problem is the energy that is being stored in the climate system e.g. atmosphere, ocean, and land. Clearly humans live in temperatures that range much wider than the few degrees that the temperature is going to rise on average. The problem is that the extra energy is going to unleash storms like humans have never experienced before and change water levels and growing belts faster than ever before. Consider how much wealth the US has built along the coast lines. This will be lost given business as usual. New Orleans was simply the first. I am not quite sure why you would want more study? The signs/science that humans are responsible for global warming point to yes with 90% confidence. Not no, but yes! If a doctor told you that smoking causes cancer with 90% confidence, would you request further study? I wouldn’t. We should not wait for 100%, because that will never happen. Neither should we wait for everybody to agree. There are still people that believe that the world is flat. For real. Should we wait for consensus before we circumnavigate the globe or fly from Paris to New York? You do not “prove” things in science. You demonstrate things with a degree of confidence. For instance, the weather forecast will tell you that it is 70% sure that it is going to rain tomorrow. We could wait and see. However, now suppose that the forecast tells you that you are going to die of a heatstroke twenty years from now. Would you still wait for “proof”? Once you got proof it will be too late. The problem is not the change. Humans and nature are an adaptable bunch. The problem is the RATE of change. The post above should indicate that very problem. We now find that US fruit production is located at the wrong latitude. We found that building large cities at the beach was and is a bad idea. We will find that nature will not be able to keep up with the migration. We are looking at extinction rates up to 70%. Almost three quarters of all species will be irreversibly gone within the lifetime of a human being. A tree in a forrest simply can’t pick up its roots and walk 3000 miles north in 50 years. Many trees are not even that old. Consequently, the species depending on these forests will die as well. PS: There’s a difference between growing plants in a grow house, where a CO2 generator is helpful, and growing them outside where you are dependent on precipitation and pests. Consider the northern forests of the US. Yes, they grow stronger and thicker thanks to to the increase in CO2. However, they also grow drier and consequently, the bark dries out, and they become an easy target for bark beetles which roam more widely. Forest death was national news about a week ago (I was quite surprised to hear it on the news. I suppose Britney Spears didn’t do anything outrageous that week). @ghandy – I think it was the climateprogress blog. I think the poll numbers are taken from time to time. It is interesting to observe that people’s opinion on the science seems to be politically biased. That is incredibly strange. I mean, beyond strange. The 99% is higher. I just didn’t know how many nines to use. This whole discussion is akin to evolution vs “intelligent design”. @kevin M – the problem around here is that it doesn’t really rain. @JA – we have enough room downstairs to store a ton (literally). I do not follow any particular theory. I just want it to smoothe out supply problems. Not replace supply entirely. @Get money – as long as you don’t repeat that joke around Katrina victims. I personally try to keep a lit on the airplane jokes around New Yorkers. Jacob where does the 90% agreement number come from? Your initial post above says 99%. I have seen interviews with prominant scientists who were listed as contributing authors of the IPCC report who disagree with its conclusion. One of them had to theaten a lawsuit to get them to remove his name from it. These are climate guys from MIT, Harvard, etc. In your defense, one of the scientists interviewed is famous because he still denies smoking causes lung cancer. I’m a thermal engineer but even for me the details of the climate change debate are too complex for me to go read every paper on the subject and come to my own conclusion. I’m not right wing, SUV driver, anti environment, or anything like that. I have an open mind, I just think extrodinary claims require extrodinary evidence. It’s amazing what people will believe just because someone said it. Religion is an example of that. I notice a lot of emotion from the believers, angry that anyone would doubt what they have made up in their mind. That alone makes me skeptical. Science shouldn’t have emotion attached to it. OK I see the source now. A poll on a blog is hardly unbiased. If we took a poll here to determine the average savings rate in America, we would get 80%. @AlexK – 90% is the confidence level that 99%+ of the people agree about. It comes from the fourth assessment report (AR4). In reality, it does not matter how many people agree (although it should serve as an indicator). The main point of importance is that the science is peer reviewed. This establishes a convergent process towards the truth. You will find that the confidence in the theory increases with time or the theory gets modified or dropped. This can be seen by going through the older literature. GW and AGW are no longer points of contention. I work on astrophysical stellar models so for me the climate models are somewhat similar in execution and build if not in scale. I think you make an epistemological mistake when you say “well, the stuff is very complex/too much to read/too hard to understand, therefore I demand extraordinary …” well, I mean (looks perplexed) … the evidence is right there. It is published. Qualified people have gone over it. It just takes a lot of effort to comprehend. Anyone who is not willing to make that effort should trust those who are, no? The thing that gets me emotional is when people are neither willing to make the effort nor trust those who made it. It’s sometimes like arguing with a person that a fish is not a vegetable even though you can eat fish on a Friday 😀 In case I misunderstood you … then my question is why do you want to wait until the certainty is 95% if the costs at that point will be much higher? Suppose a doctor said I had cancer with 90% likelihood … an extraordinary claim given that I feel very well … should I wait for more evidence or should I go in for treatment? Honestly I have little faith in government’s ability to solve any problem, let alone a big one like this. I am going to worry about things I can control, like my personal situation. I won’t be investing in oceanside property for example. Nobody in government is waiting on my opinion about GW to act, so I can take my time. I find this debate very interesting. In the 1970’s there was scientific theories of global cooling. The planet has undergone many cycles of warming and cooling. Why is Saudi Arabia a desert now? It was once an ocean. Why is the new buzzword climate change? I do respect you because you live a life based on your beliefs and scientific study. Al Gore I find hard to listen to. What percentage of the warming is related to humans in your opinion? Are we in a natural warming cycle? Do you think the warming will bring some benefits? The scientific models are being improved all the time. Is it possible that these models could negate the current small increments of warming they predict now? I also find it hard to talk about recent history. What is a hundred of years compared to billions? isthereglobalcooling.com presents a lot of scientific evidence that the earth is in a cooling trend. Have you considered the evidence available that there is not global warming? The las ten years or so show a trend of cooling. Is this an expected variant? What is the timeframe of the terrible consequences you talk of? Will they happen in ten years or more? I do not think we should completely change how we operate in the world based on recent scientific theory. Would you have been out championing global cooling in the 1970’s? In many ways it doesn’t matter if there is global warming or not. The industrial nations will not make any great changes that will hurt their economy. If we need to depend on the sudden or near future ban on fossil fuels we will surely fail. @josh – That’s a lot of questions. In the 1970s there was some speculation whether aerosols (soot, sulfur) would reverse global warming. This was not dominantly believed and the scientific consensus was still on the warming side. This question has been settled now and aerosols are now firmly imbedded in the models. I personally think climate change is a better word. Climate disruption would also work. I think the terminology is mainly historical. Global warming as a scientific concept is actually more than 100 years old. It is relatively simple (even I can do it) to construct a model that shows how the equilibrium temperature of the planet would increase under a blanket of CO2. Until the past decade or so temperature has been the main diagnostic but now models also predict rainfall patterns, heat waves, etc. So I guess today you could also call it the “More rain/snow at the poles, less in the subtropics, …. ” theory. “Climate change” encompasses it all. The radiative forcing (extra heat) from humans have both positive and negative feedbacks. CO2 is positive and increases temperature. Aerosols are negative and decreases temperature. This is why some have suggested spraying sulfur into the stratosphere. The radiative forcing from nature is basically from the sun and that is positive e.g. the sun shines stronger today than it did 200 years ago (base year is 1750). The human effect is 15 times stronger than the natural effect. Warming will bring some benefits particularly increased vegetation growth of around 15% in temperate areas up to a warming of 3C (note that 2C is irreversibly certain already). Beyond 3C vegetation will decrease. Under business as usual i.e. wait and see, this will happen around 2050. Increased vegetation death will release the stored carbon back into the atmosphere. You will also see less deaths from cold (hypothermia). Conversely, you will see more deaths from heat. That’s about it. The models are getting more and more precise. Another problem is that the models are quite conservative. In reality the situation could be far worse. In other words, the planet is heating in the upper range of what the models predict. The models are run against ancient climates as well. You can get atmospheric composition and temperatures from ice cores. These go back hundreds of thousands of years. Beyond that point, there were no humans on the planet. With respect to the globalcooling site. 1998 was the hottest year on record. 2005 was the second hottest. Temperatures fluctuate a lot but if you take the ten year running average, it is surely pointing upwards, so there are factual mistakes already in the first paragraph. The sun acts as a driver but as mentioned above, humans drive 15 times harder. The little ice age is predicted within the models. If you factor out the human factor, the planet should be somewhat colder today than it is. If you put the humans back into the equation, the models match what we see. Whatever is happening on individual continents over a ten year period is really not very relevant. Incidentally, Y2K was actually quite real. Thanks to much effort major problems were prevented (or postponed by rolling the hardware clock back). Global warming is not a recent theory. This goes back to before my parents were born and the early steps before my great grand parents. GW was first suggested in 1896! The problem is political and cultural, not technological. There was a report by McKinsey showing that mitigation would cost 0.1% annually of GDP with current technology. Compare that to the 5%+ that has already been blown on the TARP and that will probably be blown for the next several years to keep the financial system afloat. Conversely, not doing anything is projected to cost 3-5% of GDP every year. I understand that some people are completely unwilling to change their ways unless it’s going to cost them personally. I find that kind of ethics questionable … they are like the persons that leave the bar early (by dying before 2050) and thus leave the bill for their children to pick up. All for 0.1% of GDP. I mean, this is really the amount we are arguing. If GW is correct, and odds are 1 in 10 that it is, and we do nothing, the price will be severe (like nothing ever seen before). If GW is wrong and odds are 1 to 10 against and we do something, all we have lost will be 0.1% of GDP. That’s way less than we spend on going to war. Thanks for the response. If you are right about GW what do you think will be done? Most of the nations who signed on to the Kyoto protocol couldn’t even maintain those somewhat weak standards. Will China change their policies and ways of doing business? I think the major problem is that most nations and individuals wouldn’t make major changes even if GW was a hundred percent proven. I think it is likely humans are responsible for a portion and maybe a majority of GW. Even if I agree on all your points I do not see the national or international will power to do much of anything. Many people like Al Gore will talk a good game but use ten times the power of an average American. I also wondered what you mean by scientific consensus? What percentage of climatologists agree there is GW above normal natural cycles? What percentage of those same scientists blame humans for the majority of GW? I also was interested in your thoughts on using ocean water thats been desalinated for drought areas? This might require additional nuclear power to process and transport the water. This might be a solution to one of the possible problems of GW. @josh – On the subject of Al Gore. Yeah, that’s like the CEOs flying to Washington for bailout money. Rationally it makes sense since time is money, but the fact that they are missing the symbolism of flying in on a corporate jet is just astounding. I don’t have a head count of the climate scientists in favor or against(*), but I would liken the situation somewhat to the big bang theory, where you have Fred Hoyle (big name) patching up the steady state theory decades after big bang was generally accepted by pretty much everyone else. This kind of work is useful because it makes people think. The steady state theory was of course eventually abandoned. However, here the situation is also comparable to the evolution vs intelligent design debate. The latter is simply not science. You have an ideological component to the debate. Many of the deniers simply think it’s a political plot to tax them and take their money. The problem then is that it becomes a question of science vs rhetoric. The problem is that unless you think scientifically, rhetoric always wins. Now, the IPCC is huge, peer-reviewed, and supported by many many national societies. I’m guessing it’s like when the ID people made an “impressive” list of “scientists” supporting ID.. and the evolution side responded with an equally impressive list only it was only signed by scientists whose last name was Smith. Like, in your face 😀 … it is however true that each “side” seems to manage a list in this case. It is my sincere hope that the world will ratify a treaty aiming for 350ppm CO2 in Copenhagen later this year. The EU is already drafting legislation to that effect. While the US has just been on a unilateral run pretty much in terms of everything during the previous administration we now seem to have an administration that “gets it”. I am slightly optimistic. Humans somehow did manage to put a stop to CFC emissions when it was discovered that they were destroying the ozone layer. The science now is much stronger than it was during Kyoto. It may take a generational shift, the young generation 20 year olds are much more concerned than 40 year olds since they are going to be affected to a greater extent. It may take hitting a major city with a hurricane every few years? Maybe a prolonged heat wave, think 90 days about 105F in an area that has never seen it before? Severe water rationing? The arctic summer being completely ice free. The north pole gone. The longer we wait, the bigger changes we have to make. I’m just hoping people will pull their heads out of their asses before it’s too late. The IPCC exists because there is a climate change scare. Their job is to evaluate the scare and determine the risk. So they are free to determine their own level of importance. It’s a great time to be a climate researcher (if you support AGW that is, otherwise no gov funds). It’s a unique situation and deserves some skepticism. @AlexK – Conversely, if you are an oil company, a coal company, or a Detroit car company you have a lot of profit to gain by delaying action and continuing business as usual for as long as possible. That too deserves some skepticism. Jacob, I was wondering how you take into consideration peak oil and climate change in your investment strategy. If these events do occur in the next couple decades the global economy is sure to take a hit. I am wondering what steps you have in place to protect your passive income or if you have a back up plan? I have a sizable position in GE — I wish they would run their financing arm like Boeing and exit the consumer focus entirely. . Unfortunately, many cleantech companies are European which makes investing in them “annoying” from a US perspective. I am currently trying to find good water stocks (maybe HOO or WTS). I think REITs will be a good way of preserving wealth. I’m slightly worried about timber REITs though which I had otherwise planned on focusing on (IP, RYN, PCL). These would require looking into exactly where their forests are located. As more eco systems get destroyed, I think people will accept GM foods. That’s MON and DD. I have a small position in DD. Also I plan to relocate to the northeastern part of the US. Ah crisis… We love it! The globe may be warming, but it isn’t because of us. It’s because of the SUN. Scientist also say Jupiter is warming, is that because of SUV’s also? LOL. Jacob’s investigating Square foot gardening this year. He mentioned it in rePete’s guest post. I live in southern California (Los Angeles) and wasting water is evident here too. I think a change in how we do things is obvious. Our short term thinkers (local, state & federal government) are not making the changes. Last summer a public golf course was watering during the day with recycled water. This was against the Mayor’s announcement to not water 9 AM to 4 PM. I reported it to the Mayor’s office. It took weeks to change! @et – This is a two year old repost. I think the fact that the earth is warming (though it is) is irrelevant. We still need to conserve resources and water whether you believe in these theories or not! We use far too much of the earth’s resources in this country and it needs to slow down because it is not sustainable. And why not stockpile a little food? It isn’t that expensive and certainly isn’t going to hurt anybody. I had also heard that WA state had declared an argricultural emergency. Even on my own small orchard of apple trees some years have an abundant harvest and others would only have a few sparce apples. As the conditions will always have their ups and downs it is good for almost everyone to have a few fruit and berry trees in their yards as they are able. They are easy to care for and supplement our diet with all good things. It is a natural high yield on investment. Do you think world leaders understand and are planning for our predicament? If they believe what you and I believe about coming problems, why aren’t they more vocal? Or are they are just keeping quiet since the general public prefers to deny evidence and would just vote them out? Please keep us updated on your gardening experiences! Few successful gardeners realize how much they rely on non-renewable energy sources and how hard it would be to feed ourselves without them. Jacob, you should’ve known better than to poke the GW hornets’ nest! Not to worry – working for a large aid organisation I’m entirely convinced of the science behind AGW and the fact that we need to reduce our carbon emissions/water usage/adapt to our changing environments. Still, the bickering does detract from the topic at hand – stockpiling and changing our behaviours. To me, it seems obvious that rapid population growth and shrinking resources will require change from all of us if we are to a) prevent global starvation on an unprecedented scale and b) protect our wallets (a less pressing problem in my opinion). Thank you for taking on this topic (AGW). You’re doing an excellent job laying out the data, but you are up against a powerful propaganda machine and a cocktail of human emotion. How many people responding with denial or skepticism understand the way “theory” is used in science vs everyday life? How many understand the difference between air temps and heat content? Or can explain latent heat transference? Or that the hydrosphere is really where the action is at, while they argue over whether or not this year or that year was ‘hottest’? Ask them to name the isotopes of Carbon, and how the balance implicates human activity. Here, maybe this will help. You are right, Jacob, it’s the same series of responses, tactics, and strategies one sees with denial of Evolution, and it speaks poorly of our society’s grasp of basic scientific principles and methods. Good luck. It is possible to have a little piece of eden without being wasteful. We live in “Land of 100,000 lakes” and, despite the available water, we chose to have no grass on our property (40 X 120 ft). We’ve planted trees and shrubs native to our region mostly…and we DON’T water. Despite this, we still harvest over 50-60lbs of berries every year and our plants are healthy and lush. We do maintain a koi pond, but it is fed by our eaves troughs when it rains and the excess is evacuated via and overflow. Maintaining any plant that gorges on water, and needs gas/electricity to cut it to an acceptable length on a regular basis, for nothing more than aesthetics is ridiculous, especially when it is rarely, if ever, used. If global warming isn’t real, at worst, we waste a lot of money. If global warming is real, and we do nothing (ie. keep increasing emissions), we all die. Besides, we’re already facing resources issues that, even without global warming, is reaching critical point. For example, rising competition for water, food and energy. Reduced consumption, in general, is good for the world. And for your wallet. If global consumption increases at the same rate as the past 50 years, we don’t even need global warming to destroy civilisation. Even by practicing ERE alone, you’re actually helping to reduce global emissions. It’s time to develop fresh water from ocean water. Regardless of whether or not you believe that climate change is actually occurring, the issue here is our dwindling supply of natural resources. Through over consumption, we are really creating an environment of extreme waste. The planet is losing it’s bio diversity at an alarming rate and that will have a direct effect on our lives in the future. It’s senseless to argue about that. Rather than debate IF it’s happening, we need to culturally strive to become solution based and face these ecological crimes in solidarity.